I realized today that despite spending a lot of time looking at each of them, I didn’t know which was taller: Berlin’s Fernsehturm or Sutro Tower. 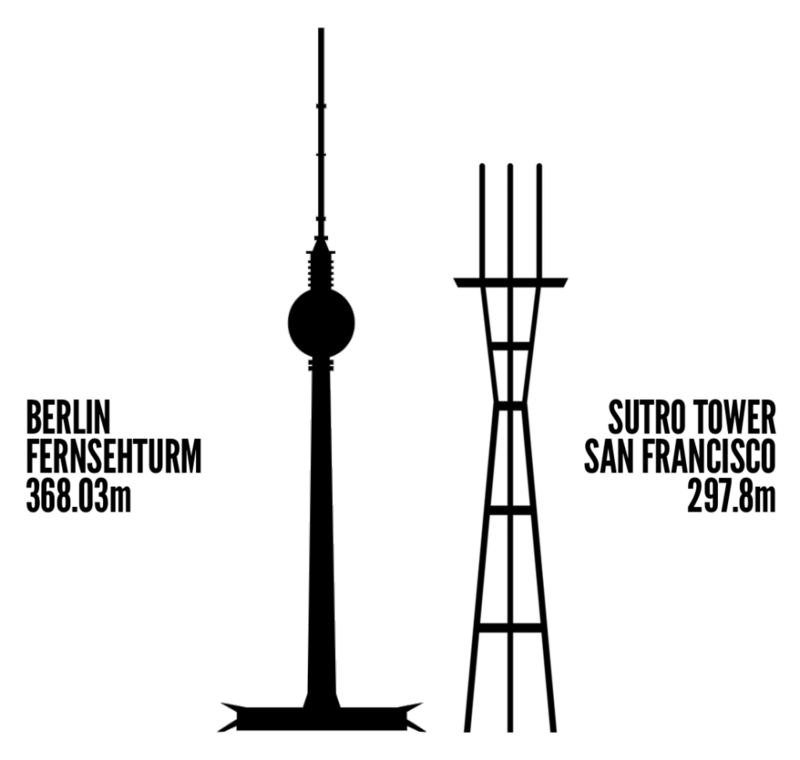 Quick answer is the TV Tower is quite a bit taller if you don’t take into account the elevation of Mount Sutro, but in order to visualize it better I stuck them next to each other, at scale. In order to do that, I had to first find silhouettes of the two structures. Fortunately there’s a public domain version of the TV tower available on Wikipedia as an SVG. I simplified and vectorized the version that Sutro Tower, Inc. uses in its antennae diagrams.